If there is one thing that my entire family loves, it is a good book. While we all love different genres, we are definitely all bookworms. I made these fun and easy shirts for my girls to celebrate their love of reading! All of them are really easy to make if you follow the instructions below. Your new project will open up for you as a blank grid. Click on the images tab on the left-hand side of the screen to start this project. First search for books in the top right corner search bar. Add text by hitting the text button in the far left menu. A text box will pop up and you can type what you want the project to say. 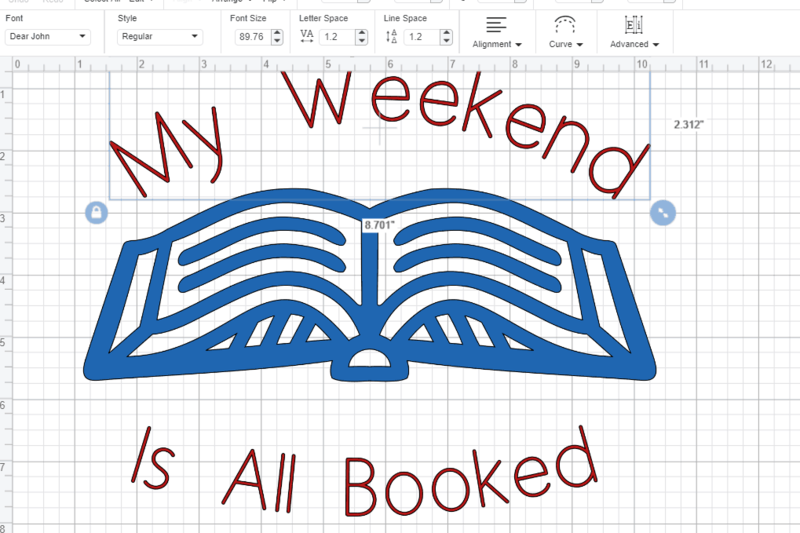 For the My Weekend is All Booked Shirt you will My Weekend is one text box and Is All Booked in another. For the Having Fun Isn’t Hard, shirt you will type Having Fun Isn’t Hard in one text box and When You Have A Library Card in another. For the Ha! Made You Read Shirt you will type Ha! in one text box and Made You in another. For the Bookmarks are for Quitter’s shirt you will type Marks in one text box and Are For Quitters in another. Add a basic square to your canvas from the shapes menu on the left-hand side. Unlock the shape by hitting the lock symbol on the square and then click and drag the green arrows until you have a long bookmark shape. Take the ribbon picture that you added earlier and layer it on top of the bookmark shape. Select both items and hit attach in the bottom right corner. 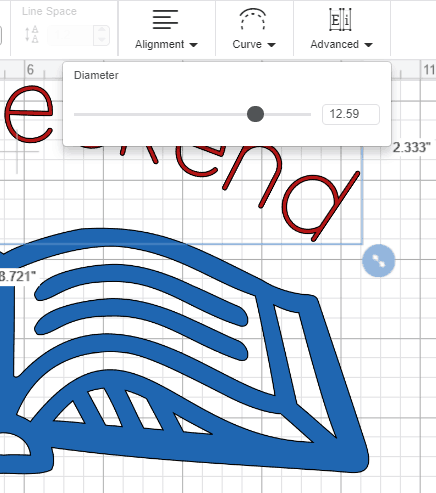 You will now use the slice tool to take cut the words out of the image. Select both the words and the image and select slice in the lower right-hand corner of the screen. Pull the text off of your image and you still see the letters have now cut through the image. Grab the letters again and pull the second set off as well. 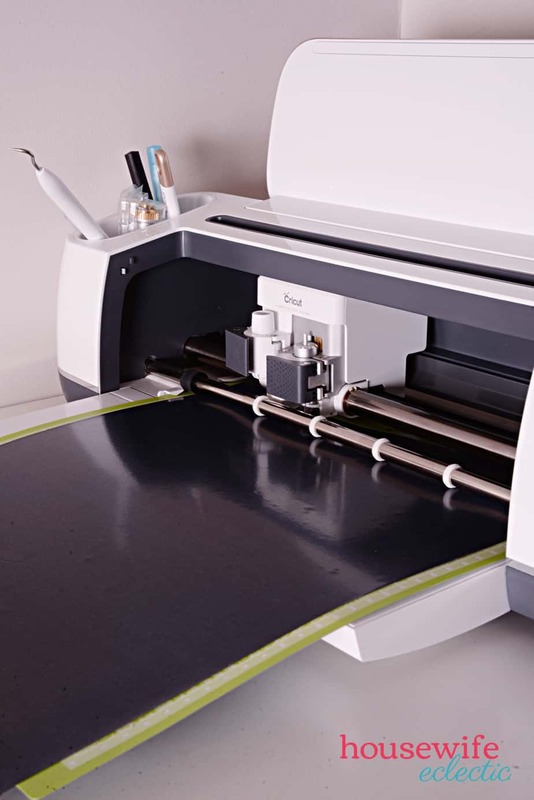 Now your Cricut will cut the words out of the image. When your project looks the way you want it, it the Make It button in the top right corner of the screen. Hit the mirror image button on the right-hand side, your project will flip on the screen and look backward. Make sure you hit the mirror button on all colors of the mats. The difference in the Ha! Made you Read Shirt and others is during the actually ironing process. Normally you just iron one layer on and you are done, with this shirt you have multiple colors and layers to get the right look. First, lay down the red glitter back part of the book and the words except Read. Iron it down using the instructions below. Place the gold piece on top of the red book and then cover the entire design with a piece of parchment paper (THIS IS IMPORTANT! It keeps the design from sticking to your iron) and iron it down with the same process. Repeat with the last layer, the red Read. Which shirt would you make for your favorite reader? These shirts are so cute. It would be so much fun to make them for the kiddos. I know they would love them. I’m an avid reader so I really love these shirts. They are so cute and I love how detailed your instructions are. Those shirts are super cute. I am positive that my niece would love one of these to wear to school. 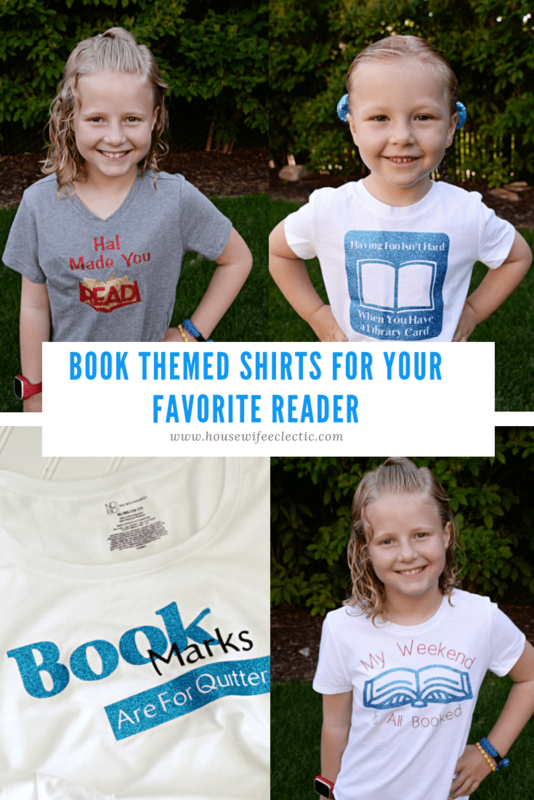 These are really cute shirts and what a great idea for all the book lovers in the family. Seems simply enough to make. Would make great gifts for everyone. I love to read too! This shirts are absolutely adorable. 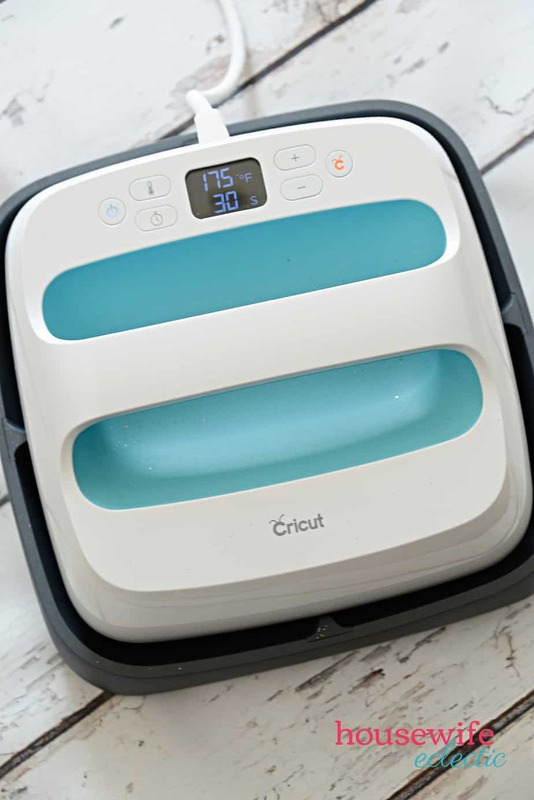 I have been wanting to get a Cricut for a while now. I could create so much! I saw that easy press in Micheals a few weeks ago. The “My Weekend is Booked” one is my favorite. I like all of these. They are super cute. My daughter would like them. Oh! That is too cute. 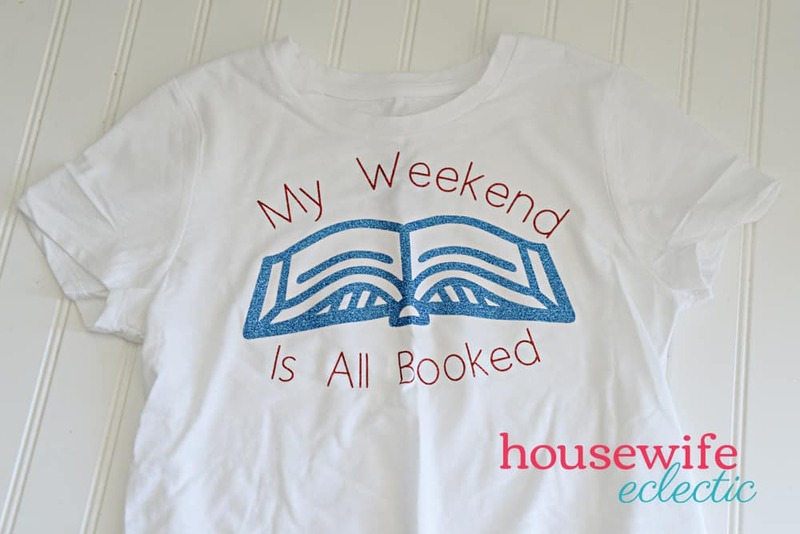 I love the “My weekend is all booked shirt.” I would wear that myself! This is such a cool idea. I know my daughters would love to make their own shirt with a cool saying. And I love the positive message about reading. OK now this is such a fun idea! I love the idea of book themed anything really as after all who doesn’t love getting lost in a different world. I would have worn these when I was younger. I was such a reader when I was groing up. These are so cute! I need to get some for my daughter; she is the resident reader. It’s so fun to make your own t-shirts. The boys and I love to read, my husband not so much unless it is on a tablet. It sounds like you’ve established the right habits in your family. That’s a great idea! My kid will love it! It seems so easy to make this themed shirts with your tips! I need to try it! Sounds like a great idea! Those t-shirts look amazing and that device is quite handy.